Before civil registration, records were held in the parish of our ancestors, or the church that was in charge of their neighbourhood/ village/ hamlet. The records were created by the clergy and the parish officers who were responsible for looking after the parish. It become compulsory to keep records from 1538 during the reign of Henry the Eighth. The church was central as a place of worship and acted like a council of today, taking note of burials, baptisms and marriages. The church was also where people turned in their time of need. It only took a family one bout of sickness before the church was needed. 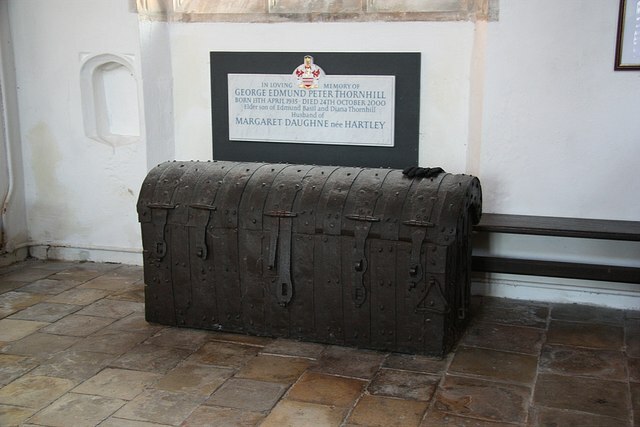 This has meant that the Parish chest held a lot of different records. If you want to get records of your ancestors before 1837, parish records are where you need to search. The Poor Law Act 1601 was a way to relieve the burden for parish income. People were not allowed to settle in a parish unless they were already part of the parish or could pay their own way. The Poor Law meant that unless you could show why you were legally settled there you could be forcibly removed. This was applied particularly to single woman with or without children. This meant that if a woman had moved to the area to marry and had children and her husband died, the children and herself would be thrown out of the parish and she would have to make her way back to her own parish. Until 1744, an illegitimate child was the responsibility of the parish. This burden was not undertaken lightly, so many lengths would be gone to before that happened. Generally there was examinations into who was the father of the child and if he would not marry the mother, then quarter sessions would be held to enforce an order to pay for raising the child. When an illegitimate child was registered, sometimes there may be a note like “born base” which means that the child was illegitimate. An important duty of the parish church was to collect the income which was through rates or tithes. Books or papers with names and rates that were paid were generally noted. Maps were drawn to reference tithe apportionment’s and have individual properties identified. From these maps rents could be calculated and received. The maps had reference numbers and came with a tithe apportionment where it can be read the name of the landowner or occupier with a description of the land. The National Archives holds these maps, another two would be made at the same time for the Bishop and the parish clerk. Parish records were written about disbursements of the money the parish received. It was a role of the church to help the poor and they regularly disbursed funds to people in need and listed them in their records. To help with the cost of the poor, orphans and paupers children were arranged into apprenticeships to relieve the cost to the local parish. The children were supposed to learn a skill or trade, however they were mostly used as cheap labour for agricultural, factory and domestic work. Apprentice records were kept in two forms; indentures and registers of apprentices. Indentures were signed by the parish and the master and agreement was made that the master would feed, clothe and teach the child a trade. Generally an agreement with a master in a neighboring parish was struck to ensure that the apprentice would not come back and place a burden on the parish. More parish records are going online, however it is always useful to contact the record office for the parish to find where they may be online. The Familysearch.org website is worth searching as they have been collecting records long before they had a website. Subscription websites like Ancestry.co.uk and findmypast have digitalised many records. The National Archives in the UK also has a lot of these records to. Points to note – 1) There are no indexes for parish records, so you need to search through the many entries to find the names of your ancestors. 2) There is no central repository for the records, so they could be with a records office, or the parish church or online somewhere. 3) Information contained may be different in every parish before 1812 when printed books started to be used. 4) Originally the parish records were kept written on paper, however when Queen Elizabeth started her rule in 1558, records had to be written on parchment. So although the records may have been back to 1538, they only exist back to then if a parish went to the trouble of transcribing those earlier records onto the parchment. Many parishes didn’t have the time or the money to do that. Well I hope you find some ancestors in this interesting time period. It seems amazing that at one time, all the records of a community were kept in a big chest in a church. Some people would try to break into a church to rip out pages in the records to hide what they had done. That’s not so easy these days. Once information is in cyber world, it can’t be ripped out of history. English ancestry, land records in uk, Parish records, removal orders, tithes. Bookmark.